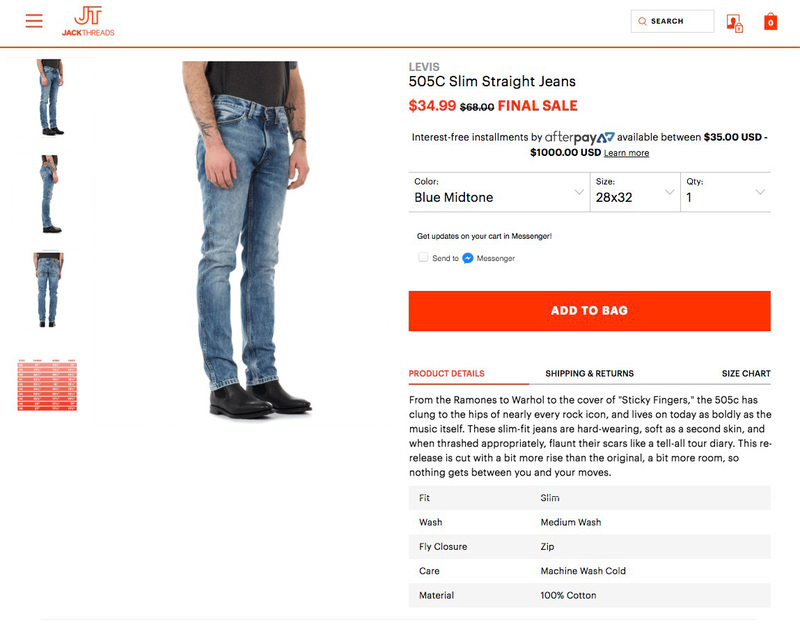 Jackthreads is an e-commerce spinoff of Thrillist. They sell discounted street fashion in the spirit of flash sales, and have moved into selling their own branded menswear. They asked me to write copy with character. From the Ramones to Warhol to the cover of “Sticky Fingers,” the 505c has clung to the hips of nearly every rock icon, and lives on today as boldly as the music itself. These slim-fit jeans are hard-wearing, soft as a second skin, and when thrashed appropriately, flaunt their scars like a tell-all tour diary. This re-release is cut with a bit more rise than the original, a bit more room, so nothing gets between you and your moves.